First, if any of you got a weird e-mail from me asking for money, I'm sorry. My yahoo e-mail account got hacked for the second time this year. Hopefully I fixed it. The winner of MARK OF THE THIEF is Emily Moore! And the winner of VILLAIN KEEPER is Bish Denham! Congrats! E-mail me your address so I can send you your books. Please e-mail me by the end of Wednesday or I'll have to pick another winner. Today I'm thrilled to have debut author Karen Bao here to share what influenced her to write her YA science fiction DOVE ARISING. 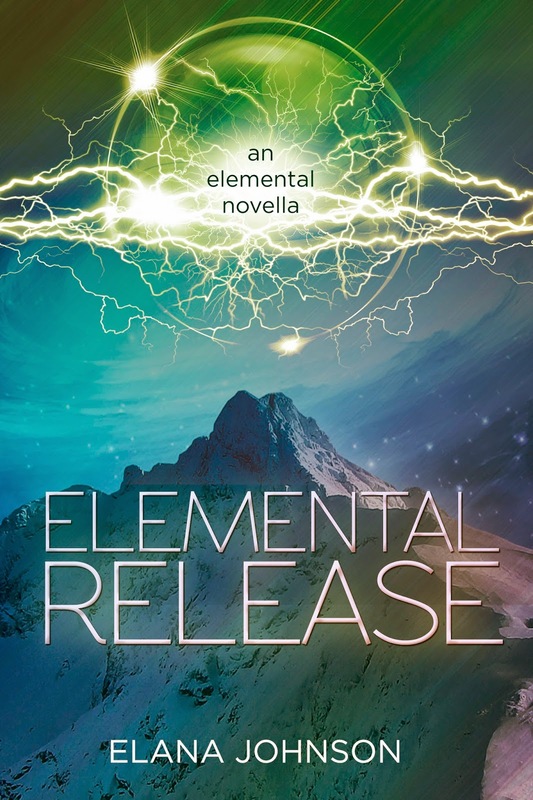 It sounds really good and I love science fiction so it's on my TBR list. Details of the giveaway will be at the end of the post. Looking back, I feel that I’d prepared my whole life to write Dove Arising. I’d always loved science, especially biology, and my scientist parents encouraged me to pursue it as a career – Mom’s a telecommunications engineer, and Dad’s a medicinal chemist. Early on, I realized that human activity endangered the living things that fascinated me, and decided to study and preserve wildlife as a career. But science wasn’t my only passion. I couldn’t get enough of literature and history in school; reading Victorian novels and studying twentieth-century world history made me actually want to go to class. I learned that my own parents had lived through a pivotal episode in world history: China’s Cultural Revolution, in which Mao Zedong tried to purge capitalist ideas and traditional Chinese thought from the country. The authorities sent my mother’s father, a professor, to a labor camp in the countryside – for ten whole years. Because I grew up in a liberal democracy, I couldn’t wrap my head around it. My interest in science and my family’s history came together, informing the worldbuilding for Dove Arising. The idea of living on the moon came out of my worrying over Earth’s environmental devastation: I predicted that hundreds of years from now, after decades of government inaction, scientists from all over the world pool their funding to set up lunar colonies. They’re concerned for our species’ survival, and they mean well. But because the Moon’s environment is so hostile, scientific progress is paramount and surveillance necessary for citizens’ safety. It takes only a small scuffle with the remaining nations of Earth for the Lunar government to seize “emergency powers,” take total control, and become truly oppressive. science for progress’ sake, and separation of family members all featured into the Lunar society. Also, smaller things – like when Mom’s school ranked students on monthly exams, and the government made her study chemistry in college – fit right into Dove Arising’s manuscript. Next, I thought about what a perfect Lunar citizen would look like – and this person became Phaet, the protagonist. She’s a stellar science student. And her quiet personality is a product of her totalitarian society: the less she talks, the less likely it is that she’ll get in trouble. Although quiet people may seem shy or weak, I know that they aren’t; for example, my best friend doesn’t talk much, and truthfully, I don’t either. I wanted to convey that Phaet had inner resolve despite her quiet exterior, and hopefully it worked! So there you have it: Dove Arising was the product of my interest in science, my mom’s stories about China, and my interactions with introverts. Hope you had fun reading this post, and thanks to Natalie for having me on the blog! Karen's publisher, Penguin Young Readers, generously offered an ARC of DOVE ARISING for a giveaway. To enter, all you need to do is be a follower (just click the follow button if you’re not a follower) and leave a comment through March 7th. I’ll announce the winner on March 9th. If your e-mail is not on your Google Profile, please leave it in the comments. 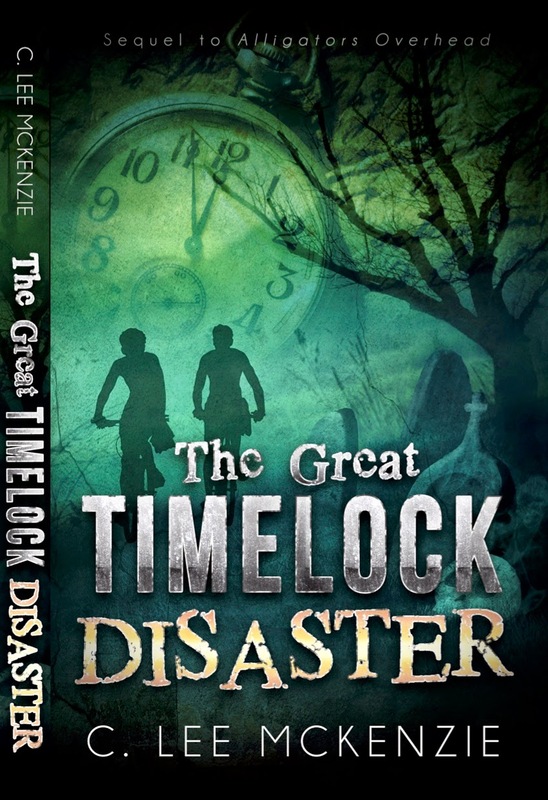 On Wednesday I have a guest post by debut author Alison DeCamp on marketing middle grade novels and a giveaway of MY NEAR-DEATH ADVENTURES, her MG historical fiction similar to Diary of a Wimpy Kid. Next Monday I have an interview with debut author Victoria Aveyard and a giveaway of RED QUEEN, her YA fantasy/dystopian. Happy Monday Everyone! Hope those of you on the East coast are surviving all the snow. And anyone with the bitter cold is surviving that too. Thankfully March will be here soon with hopefully some warmer weather and less snow. It's frigid here but I braved the weather yesterday to go exercise. Otherwise it was a weekend to stay in and warm. And I have a few winners to announce. The winner of the Favorites Giveaway Hop is Anne who picked the $10 Amazon Gift Card! And the winner of MONSTROUS is Eisen! Today I’m thrilled to have debut author Rhiannon Thomas here to share about A WICKED THING, her YA retelling of Sleeping Beauty, that releases on February 24th. I really enjoyed the twist in this. Princess Aurora wakes up 100 years in the future. And it isn’t happy. Hi Rhiannon! Thanks so much for joining us. I always get nervous when telling people about myself – I think it’s the shy British girl side of me going “no, no, tell me about YOU.” But here goes. I’m originally from the north of England, but I moved to America when I was 18 to study English Lit and Japanese at Princeton. After graduation, my visa ran out, so I very reluctantly moved back to England, got a job at a bookstore, and tried to figure out what the hell I wanted to do with my life. I knew I was really good at academics, but the idea of grad school was more “I don’t know what I’m doing!” than an actual dream. So, while trying to figure things out, I turned my academic side into my blog, Feminist Fiction, and I wrote the book that would ultimately become A Wicked Thing. I wouldn’t recommend graduate -> be sad -> write a book -> luck out and sell it and stop looking for another career path as a life plan, but it worked out for me so far! 2. Glad it worked out for you. And I think other people change careers too, so don't feel back. How did you get the idea for your book and why did you choose to retell Sleeping Beauty’s story. I read that your favorite fairy tale is The Little Mermaid. Why didn’t you pick that one? A Wicked Thing originally came from a place of being completely fed up with romance tropes. The idea first came to me when Twilight was the hottest thing in the fiction world, and there were a whole bunch of similar novels about people fated to be together, or all-powerful supernatural love-at-first-sight that people couldn’t escape. Maybe I’m just awkward, but if someone appeared in my life and said “oh btw, we’re gonna be in love forever now, it’s FATE,” I’d be pretty weirded out. And these thoughts meshed pretty well with my total love for fairy tales, and especially dark fairy tales. Most fairy tales have some “I’ve known you for five minutes, let’s get married” element, but Sleeping Beauty was the most interesting, to me, when you add in the promise of “true love’s kiss,” and the weirdness of sleeping for a century. The more I thought about it, the more I wanted to know what would happen after Aurora woke up, if things were slightly less fairy tale and slightly more realistic. And I would love to do a Little Mermaid retelling, but if I did, I think the main focus would be the decision of whether or not she should murder the guy she loves to remain human, which is a very different story. Maybe one day! 3. I'm not a fan of fated, fall in love immediately romances either. Share about the process of writing a retelling of a fairy tale. Did you research much by reading different versions of Sleeping Beauty? And what advice do you have for other authors wanting to write a fairy tale retelling? familiar with a lot of the different versions of it, because I’m a fairy tale nerd and had studied them at university, but I really wanted to base the novel on fairy tale elements that most people would be familiar with. I wanted Aurora to appear to be the classic Sleeping Beauty, and although I tweaked some elements of her story to suit my needs, I wanted the heart of her backstory to match what people first thought of when they thought “Sleeping Beauty.” So no baby twins, no creeptastic stalker princes, no ogre mother-in-law. Just an angry witch, a tower, a spinning wheel, and a hundred year sleep. As for advice on writing a fairy tale retelling… I think the most important thing is to be constantly interrogating and challenging the story you know. Why would someone act that way, what sort of person would really do this, how would people respond to that situation if they weren’t guided by fairy tale tropes? Retellings become most interesting, to me, when they try to put the humanity back into that fairy tale narrative framework, and explore where that takes you. 4. Those are great questions to ask yourself. Princess Aurora is such a sympathetic character. She wakes up to a less than perfect situation. 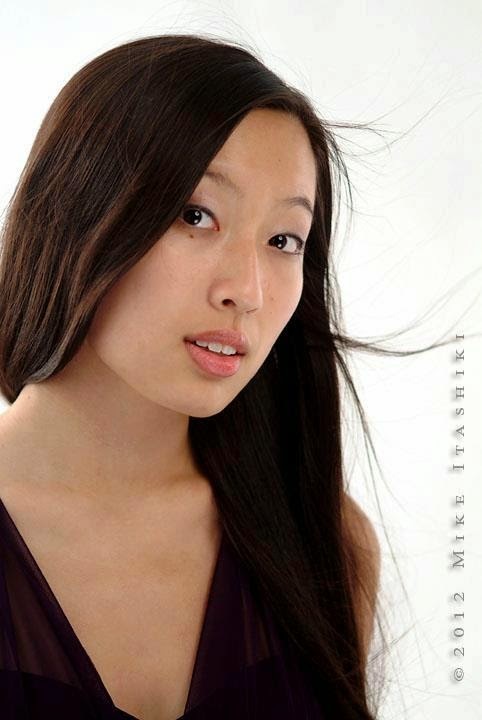 Share about her character development and the challenges of putting her into the future. Well, the biggest challenge, from a writing perspective, was that I needed to create two distinct worlds for Aurora – the past that she was familiar with, and the future that she finds herself thrown into – and know how one had turned into the other. This was especially difficult, because Aurora is a very naïve character at first, who has spent her life locked in a tower and has very little firsthand experience of life outside the castle, so she’s not the best source of information. But I was determined that Aurora wouldn’t be an action princess. I’ve called her my “Sansa Stark” protagonist before, and that’s definitely the tone I wanted for her. She’s very privileged, but also utterly trapped by her situation. She has a lot of naïve ideas about what her life is going to be, and her life experiences up to the start of the novel have made her quite passive and shy. She’s not really sure what she wants, and she definitely doesn’t know how to achieve it. In a way, I wanted the book to be about how Aurora could become a protagonist or a heroine. There are so many Strong Female Characters in fiction, but I really wanted to think about a character who needs to grow into her strength. She has all that potential there, but she doesn’t know how to use it at first. Since I’m a shy and nervous person myself, that felt more realistic to me than a character who wakes up in a terrible future and is immediately in control of the situation. 5. 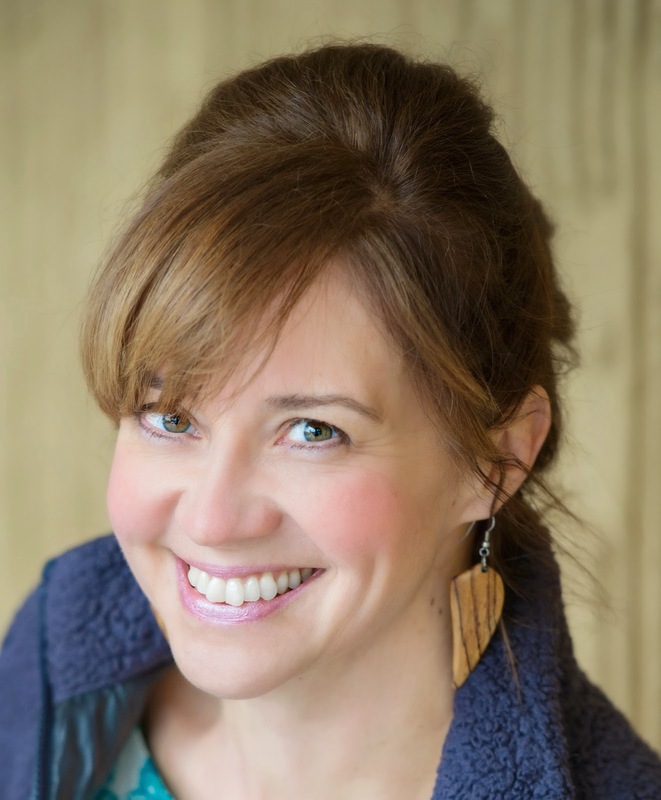 Kristin Nelson, one of my dream agents, is your agent. Share how she became your agent and your road to publication. Kristin is such an amazing agent, and it was half luck that I got the chance to work with her. Nelson Literary Agency was actually one of the first agencies I queried with the book, but they’re an “only query one agent” agency, and I actually queried Kristin’s second-in-command, Sara Megibow. I think I reasoned that Sara was more actively looking for new debuts, so she was my best bet. A few days after Sara requested the full manuscript, I got an email from Kristin, saying that Sara had passed it on to her, and she wanted to offer representation! I was floored, but so happy. So I guess I’m living proof that agents do share queries within their agencies. After I signed with Kristin, we worked together to revise the book to make it stronger, and went on submission to publishers about four or five months later. Being on submission felt like endless hell while I was there, but I actually had a really short submission process – HarperTeen expressed interest within about a week, and after that, it was just sorting out the details. 6. Okay, that sounds like a dream get an agent story. You live in England and your book is being published in the U.S. and Canada. Are there any plans to publish it in England? And how are you planning to market your book since you don’t live in the U.S. or Canada? Sadly no plans to publish in England yet, although I would love if it was published here. For the US, it’s going to be a lot of online marketing! I’m having a blog tour, thanks to the wonderful Fantastic Flying Book Club, and Epic Reads are just great too. They really know their stuff when it comes to Twitter and Instagram and creating online buzz. I’d love to be able to do an in-person tour, but even getting to one stop in the US would be pretty expensive! Hopefully one day. 7. Online marketing is really good too and it doesn't matter if you live in the country where your book is published. You also blog at feministfiction.com. It sounds really interesting. Tell us a bit about what you blog about. Thank you! I basically blog about fiction in all forms from a feminist perspective. I’d say the majority of things I write about are TV shows, since they always have new content coming out that’s ripe for discussion, but I also write about novels, movies, video games, and the media’s response to these and to their creators. Sometimes I discuss certain iconic characters, sometimes I talk about the latest online controversy, sometimes I tackle questions of female representation in the media in general… it’s a mix, which definitely makes it more fun for me. In my dream world, it’d be a 100% positive blog, talking about great female representation and wonderful TV shows and books, and I do try to talk about shows that do things right and offer recommendations as much as possible. Buuuut I do find myself critiquing quite a lot. Even good fiction isn’t often kind to its female characters these days. As I’m writing this, I literally just finished working on the final revisions for the sequel to A Wicked Thing. Now I’ve got that bundled out of the way, I’m starting on a whole new YA fantasy called Long May She Reign, about a girl scientist who ends up queen after the whole court is assassinated. 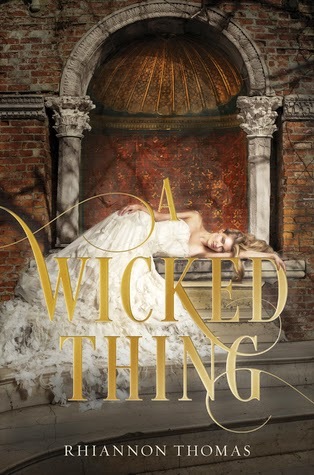 Rhiannon has generously offered a copy of A WICKED THING for a giveaway. To enter, all you need to do is be a follower (just click the follow button if you’re not a follower) and leave a comment through February 28th. I’ll announce the winner on March 2nd. If your e-mail is not on your Google Profile, please leave it in the comments. On Monday I have a guest post by debut author Karen Bao and a giveaway of her science fiction YA DOVE ARISING. 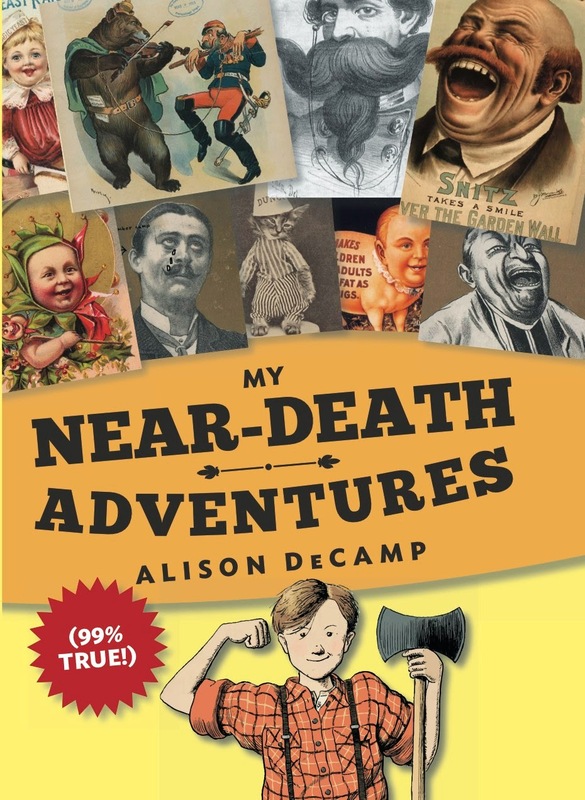 Next Wednesday I have a guest post by debut author Alison DeCamp on marketing middle grade novels and a giveaway of MY NEAR-DEATH ADVENTURES, her MG historical fiction similar to Diary of a Wimpy Kid. The Monday after that I have an interview with debut author Victoria Aveyard and a giveaway of RED QUEEN, her YA fantasy/dystopian. And Wednesday that week I have an interview with agent Alex Slater at Trident Media Group with a query critique giveaway. And he has great advice for self-published and small press authors too! Friday that week I'm participating in the Lucky is Reading Giveaway Hop. I'll have lots of great new releases for you and an Amazon gift card if you don't like my choices. 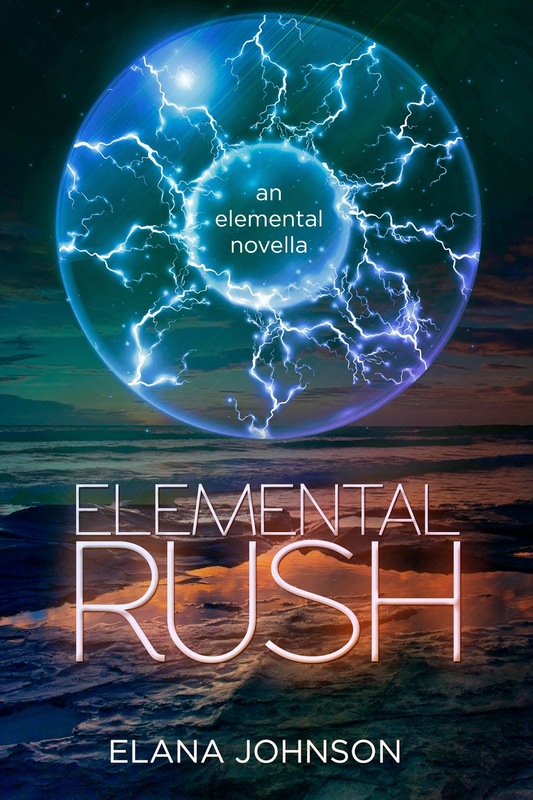 Elana Johnson has released new covers for her YA and NA futurist fantasy. Meet editors and agents from industry-leading agencies and publishing houses—and the friendliest, most supportive colleagues one could ever hope to find—at Springmingle '15 Writers' and Illustrators' Conference March 13-15, 2015 in Decatur, GA. Visit their website for a complete listing of workshops: https://southern-breeze.scbwi.org/events/springmingle-15/. Presented by SCBWI/Southern Breeze Region. And the winner of WOVEN is DONNA HOLE! Today I’m thrilled to have debut author Laurie McKay here to share about her MG fantasy VILLAIN KEEPER that released February 3rd. I haven’t gotten a chance to read it yet but am hoping to before I have to give away my ARC. Having Prince Caden transported to Asheville, NC, sounds fascinating and I want to find out what happens. Unexpected magic, villainous teachers, and dragons in disguise await readers in the first book of a delightful new tween adventure series by debut author Laurie McKay. Fans of Soman Chainani’s The School for Good and Evil and Chris Colfer’s The Land of Stories will be transported by this first book in an epic new series for middle grade readers about a brave young prince’s quest to find answers, honor, friendship—and what it really means to be a hero. Hi Laurie! Thanks so much for joining us. I’ve written stories since I was a kid. Always, they’ve had some magic, or fantasy, or supernatural element. But writing was just a hobby. Then, about six years ago, my father died unexpectedly. It was a great shock to me and my family. After that, writing became an outlet. Around that time, I also decided to go back to graduate school. I filled out applications, got accepted, and planned to get my doctorate in a few years. I wasn’t sure it was what I wanted to do, however. Then I realized all that time and effort I planned to spend on the doctoral program, I could just as easily spend on writing. There was no reason writing couldn’t be more than a hobby, and it was what I really wanted to do. I committed to it. I read a bookshelf worth of books on craft. I attended conferences. (FYI – so did my sister.) And now we both are agented and I’m being published! 2. That's so awesome that your sister and you both write. Share how you got the idea for VILLAIN KEEPER. In many portal fantasies, my favorite parts are when the characters are in the real world. So I wanted to write a story like those that took place in the real world. VILLAIN KEEPER is sort of a reverse portal fantasy. The fantasy prince and sorceress are stranded in modern-day Asheville, NC! Although, they find plenty of magic, too. I was also inspired by fairy tales. Caden is loosely inspired by “Prince Charming”. He even has the gift of speech that allows him to speak any language and sometimes ‘charm’ people. Brynne, the sorceress, is loosely based on the evil sorceress Prince Charming fights only she’s not evil and she’s his closest ally. 3. I love those kind of reverse portal stories too. One thing that intrigues me is that Prince Caden is transported to our world and finds others from his world are also here. Why do you think it works so well to have him come here rather than keep the story in his world? wants to do heroic things so being stranded in a world where he has to go to middle school makes that difficult for him. Also, it’s interesting to see our world from the point-of-view of someone new to it. 4. I noticed that you have a lot of characters in your story. How did you keep them unique and what is your character development process like? Most characters just pop into my mind. As I write, I try to make sure they all have their own agendas and goals. The other thing I often do is combine characters. After a draft, if character A and character B are flat, I mush them together, and get more dimension. Often, when I first start, I’ll imagine altered television characters for my stories. For instance, what would Star Trek’s TNG Captain Picard be like as a ten-year-old girl? It really helps me in the beginning. Then as I write, they take hold and better develop. 5. That's a great idea to mash two flat characters together. I've never thought of doing it before but I'll keep it in mind for sure. Middle grade voice is so important. 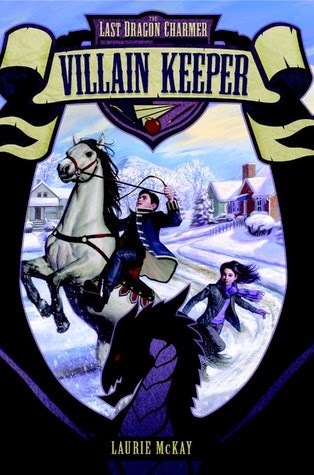 What have you learned about it from writing VILLAIN KEEPER and what advice do you have for aspiring middle grade authors? My advice – or at least what has worked for me – is not to focus on the age of the character. Instead, I think about the character’s goals and his or her personality and quirks. It’s important to treat younger characters as complex and motivated. But I do try to keep age in mind is when a character is interacting with others. An adult character would treat my twelve-year-old main character different than an eight-year-old would. 6. Those are all great tips. Share about your road to publication. When I started to seriously pursue writing, I wrote a novel. No one much was interested. So I started another one which ended up being VILLAIN KEEPER. I had a good gut feeling about the book. My good gut feelings are right a surprising amount of the time. I started querying in late January. Then I got rejection after rejection. While I was querying VILLAIN KEEPER, I worked on other projects. Then, in mid-March, I queried my agent. He signed me two weeks later, and about four weeks after that, he sold my book series to Harper! It happened so quickly. In mid-March – I didn’t even had an agent. By the end of April, I had a three-book deal. It didn’t sink in for another few weeks. And it’s been challenging to come to terms with all the things out of my control. I can write the best book possible, but I can’t control people’s reaction to it, I can’t make people buy it. People will be reading my book, judging it, and judging me. It’s great when they love it but it physically hurts when they don’t. I’ve been trying to let that go. After some thought, I decided that debut anxiety comes from the notion that if my novel doesn’t do well or isn’t well-received, I won’t be able to continue working as a writer. But I realized that wasn’t true. One, any book I write, the first or the fortieth, could not do well. Two, no matter what I can keep writing. And that’s why I wanted to be an author in the first place. To write. Being an author might have high highs and stressful lows, but it’s also exciting and amazing. When I get stressed, I try to remember that. 7. You have a good attitude toward dealing with the stresses that debut authors and authors in general have to deal with. How are you planning to market your book? 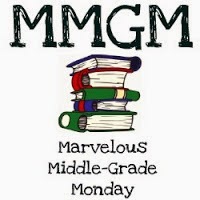 Are you connecting with any other middle grade authors in promoting your book? Marketing is intimidating. Being a new author, I’m doing the best I can. My publisher, Harper, has a marketing plan. I listen to their advice. Also, I try to support and connect with local booksellers. Finally, I plan to set up school visits. As a teacher, I like to working with students, and if I can do it while sharing my writing, all the better. To connect with other authors, I joined a group for debut writers – the Fearless Fifteeners. Actually, I’ve seen several of them interviewed on Literary Rambles already! They’re supportive and are riding the same roller coaster. It’s good to hear about how others are experiencing similar highs, lows, and challenges. 8. Yes, I've found many of my debut authors through the Fearless Fifteeners. 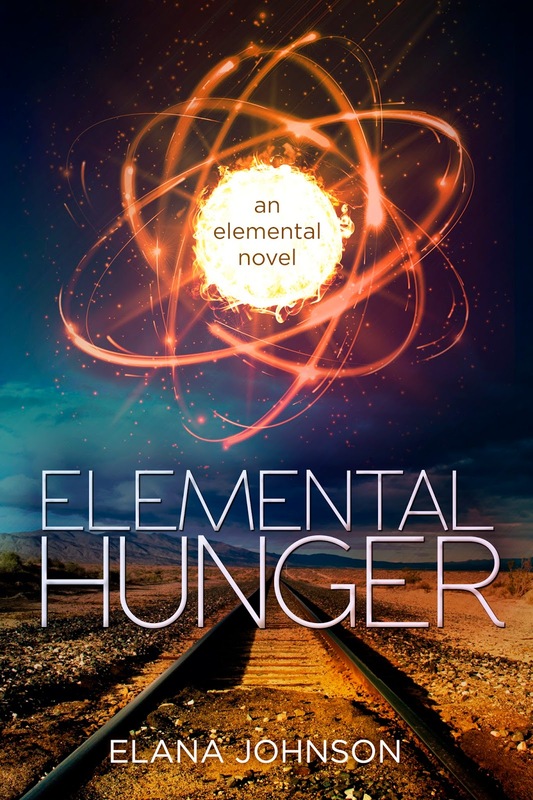 I love the debut author blogs to help me decide what books and authors to spotlight. What are you working on now? I’m revising book two and outlining book three of THE LAST DRAGON CHARMER. It’s pretty exciting! Laurie and her publisher Harper Collins generously offered an ARC of VILLAIN KEEPER for a giveaway. To enter, all you need to do is be a follower (just click the follow button if you’re not a follower) and leave a comment through February 21st. I’ll announce the winner on February 23rd. If your e-mail is not on your Google Profile, please leave it in the comments. If you mention this contest on Twitter, Facebook, or your blog, mention this in the comments and I'll give you an extra entry.This is for for US and Canada. Marvelous Middle Grade Monday was started by Shannon Messenger. You can find all the other participating blogs on her blog. 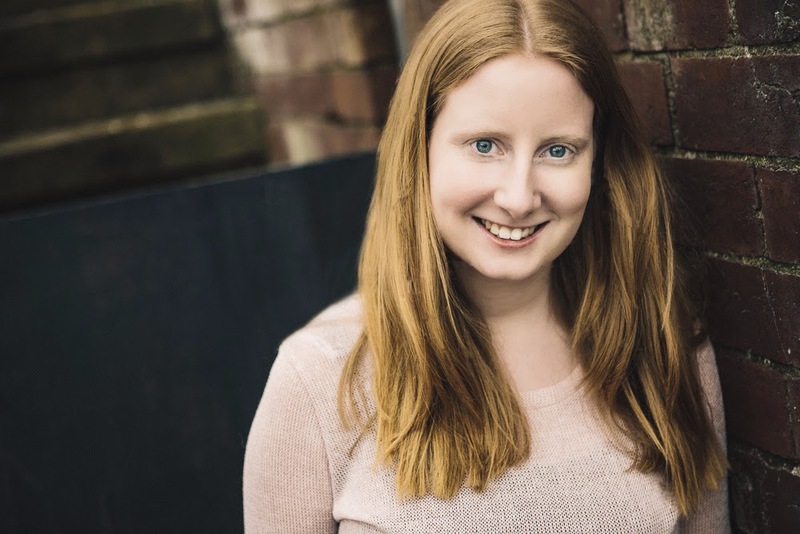 On Monday I have an interview with debut author Rhiannon Thomas and a giveaway of her YA fairy tale retelling A WICKED THING. 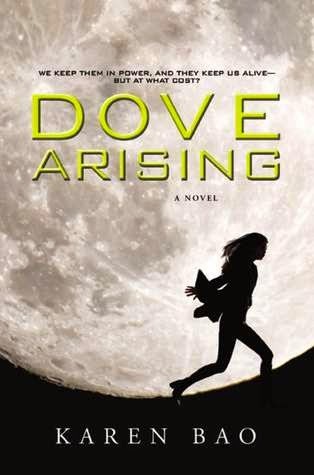 The next Monday I have a guest post by debut author Karen Bao and a giveaway of her science fiction YA DOVE ARISING. 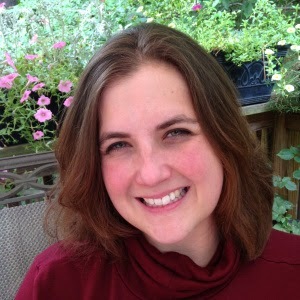 Wednesday that week I have a guest post by debut author Alison DeCamp on marketing middle grade novels and a giveaway of MY NEAR-DEATH ADVENTURES, her MG historical fiction similar to Diary of a Wimpy Kid.